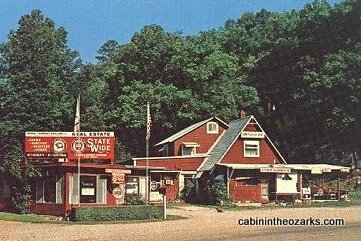 For generations of travelers along Arkansas Scenic Highway Seven, Little Switzerland Cabins have been a favored stop. The collection of A-frame accommodations inside a curve north of Jasper are highly sought yet reasonably priced for any traveler wanting to capture the wonder of the golden age of road travel. Little Switzerland was first a homestead that dated back to 1891. It was a watering hole for travelers making the 18 mile trip from Harrison to Jasper, a journey that used to take three days. 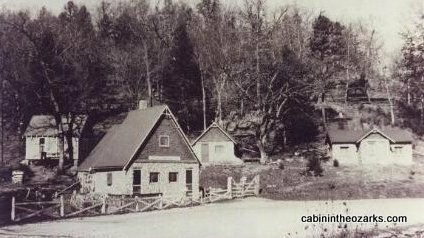 In the 1930s, the owners started renting out rudimentary cabins to travelers who wanted to stay overnight. 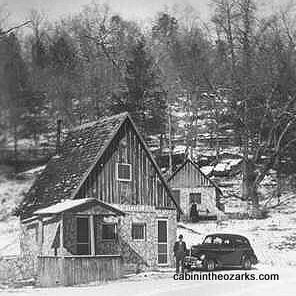 Back then, there was no cable TV, no fine linens – no indoor plumbing! By the 1960s, the little property became well-known for its iconic structures and its location near then-popular Dogpatch USA. Today, all of the cabins have been renovated to modern standards, and they’re all good places to escape from the outside world. The main property consists of a gift shop and front desk and three A-frame cabins. The largest of these contains three motel-style units, each with its own bathroom. A second cabin offers two levels for guests, and the smallest of the three holds a queen sized bed, loveseat and small bath. There is satellite TV in each room, along with a small refrigerator usually stocked with soda or juice, and there’s a microwave and coffee maker. Outside, there are picnic tables and charcoal grills. And, if you have a group of a dozen or a little more, Little Switzerland is a great place to congregate. In the hollow behind the property, there’s a pavilion that has two barbecue pits and a fire ring for cooking. The only thing Little Switzerland doesn’t have is cell phone access, but there are phones in each room and wireless internet. 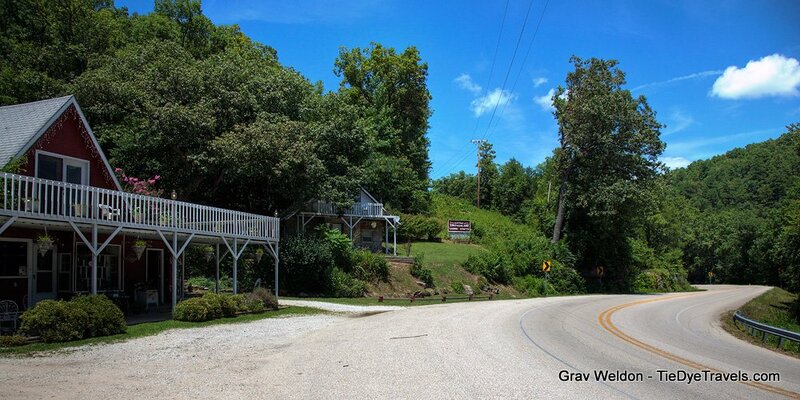 Consider this historic, eclectic roadside home away from home for your next retreat. For more information, check out the website.